Mtl Tattoo is proud to present the 2nd edition of Tattoo Nouvelle Ère, held for the first time in the great city of Montreal. The 2018 edition of this artistic festival will take place on May 25-26-27 at Salon 1860, an old and magnificent restored church in Griffintown, one of the city’s most lively neighborhoods. The surroundings will seduce you with its restaurants, cafés, art galleries and antiques shops. Our goal is to offer the public a chance to attend an elegant event where the art of tattooing will shine in bright lights. Participating artists, coming from all around the world, will demonstrate different styles, from the most traditional to the most actual, depicting a refined portrait of this universe. 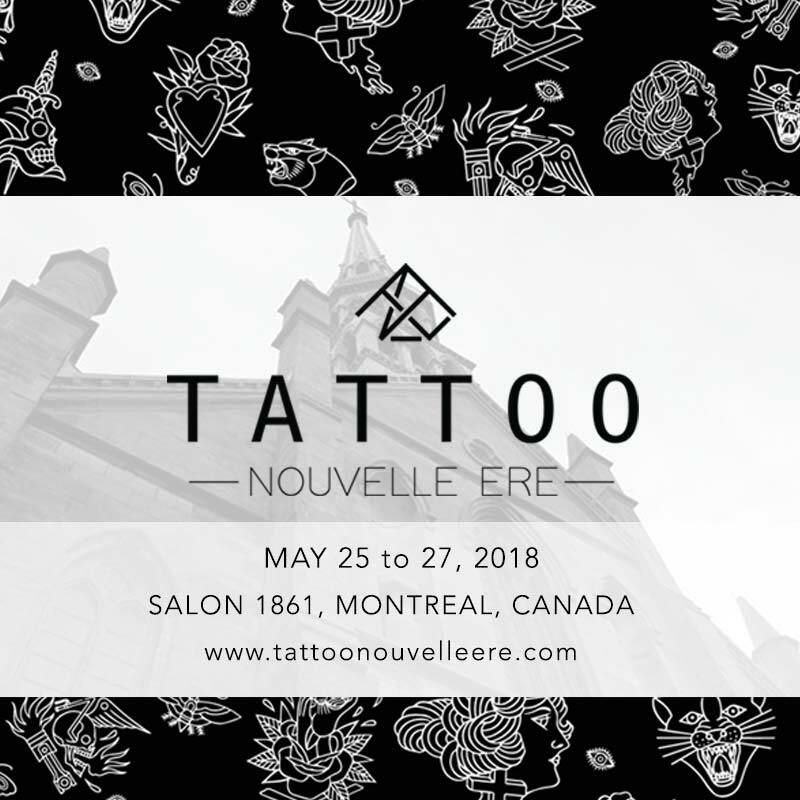 Tattoo Nouvelle Ere is focused as much on well-informed body art consumers as on new onlookers and art lovers in general, a great opportunity to get a new tattoo by a local or international artist all through the weekend. Food trucks will be parked outside, offering a wide variety of food, including vegetarian selection. A skateboard ramp will also be installed outside; where fans can watch pros demonstrate their skills during the weekend. Moreover, collective works of art, painted by our tattoo artists will be sold in an auction in order to gather funds for the non-profit 1 Kid, 1 skate. Not to mention the many attractions that will perfectly complete this event, such as tattoo competitions, live music, animation and much more.